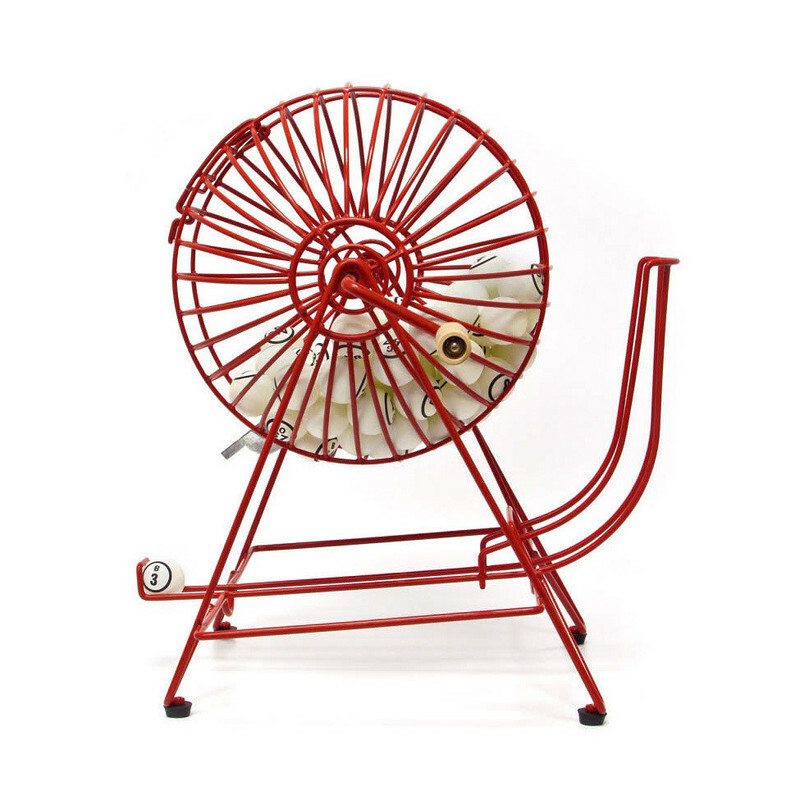 This Professional Bingo Set (Ping Pong Style Balls) includes a large bingo cage with a wood handle. The high quality fully rubberized cage which ensures less wear on bingo balls and quieter operation over non rubberized cages. The cage measures 11 inches in diameter by 7.5 inches wide and is 19 inches in overall height. 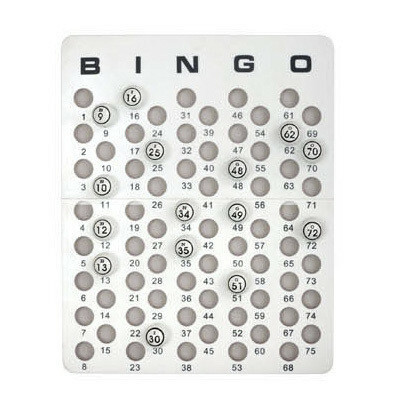 The bingo master board is a one piece sturdy hard white plastic and measures 16.5 inches wide by 20.5 inches long. The set also includes 75 professional ping pong size bingo balls. Commonly used at lodges, large family gatherings, senior centers and retirement facilities for entertainment purposes. This set is very high quality, long lasting and value priced.